ColecoVision.dk Homebrew Section Presents: Andy Key. Andy Key was a games programmer for the Memotech MTX back in 1984. 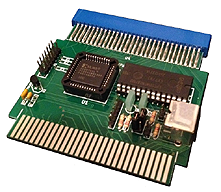 Recently he created an emulator, hardware reconstruction in VHDL and an SD Card based add-on for the Memotech MTX. He became aware that the Colecovision has very similar hardware to the MTX through Claus Bækkel (a Memotech and Colecovision enthusiast oan programmer), that he himself bought a ColecoVision. 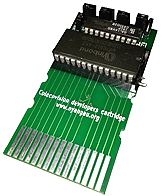 He has created a simple developers cartridge and a keyboard adapter for ColecoVision. Andy Key's Developers cartridge. Andy Key's Keyboard Interface.